Here are a couple more things I’ve embellished for my grandson. 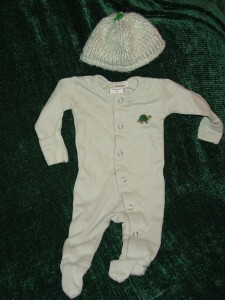 The organic sleeper above looked mint green on line but arrived a bland color of sage. 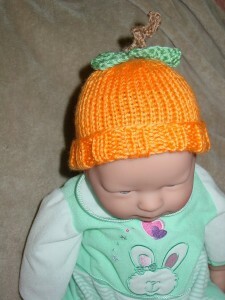 I found some wonderfully soft bamboo yarn to match for the cap. 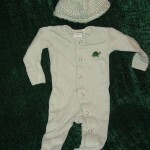 I hunted up my old waste canvas and cross stitched a little turtle on the chest. 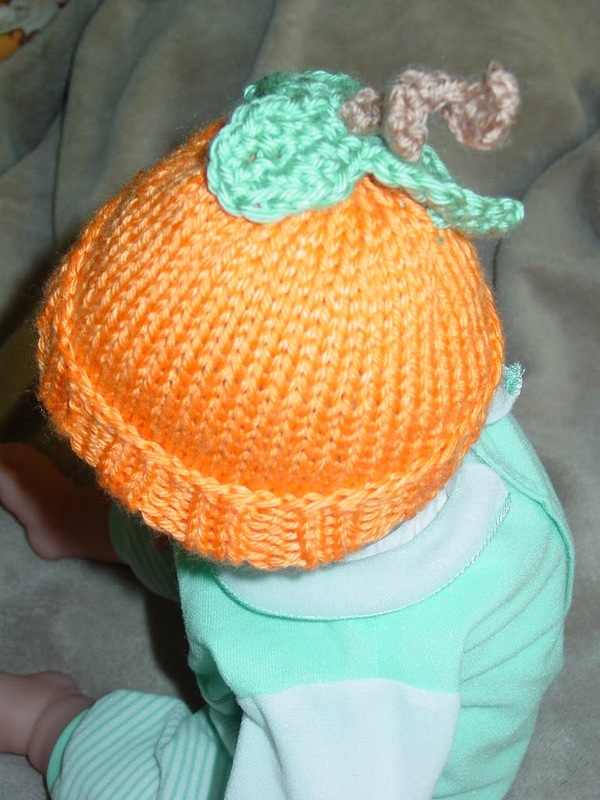 Then, I added a little turtle button to the cap. 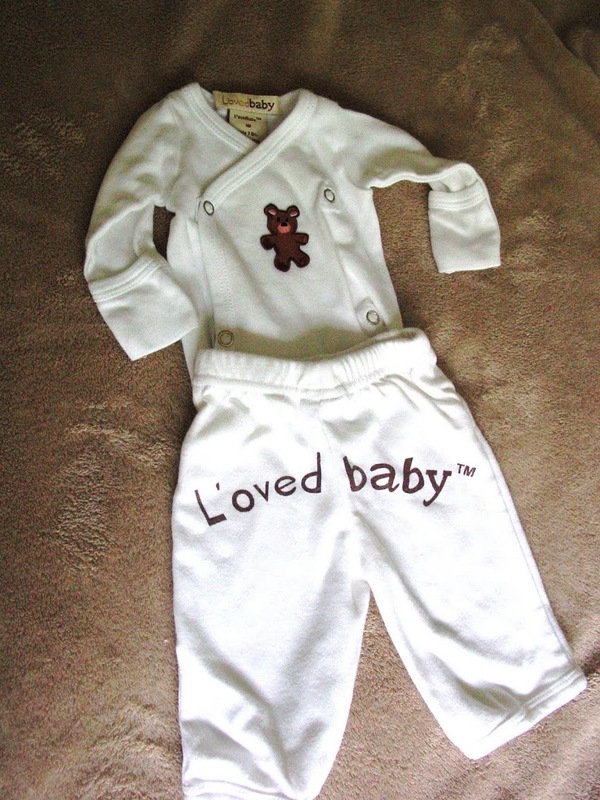 The white outfit just needed a bear applique to go with “L’oved baby” on the back of the pants. 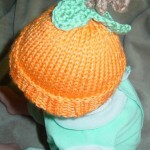 Filed under Uncategorized |	Comments Off on More baby fun! 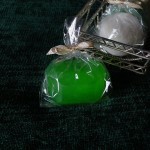 Christmas is coming up and I’ve been busy pouring my “Gemsoaps.” I’m filling an order for my friend Ruth in Ohio. I also just received some new Christmas scents and inventoried my old ones. Yum, I just poured an amber-colored “hot toddy!” It’s time to be busy, busy, busy! 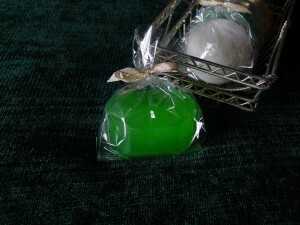 Filed under Christmas, soap |	Comments Off on It’s soap pouring time!